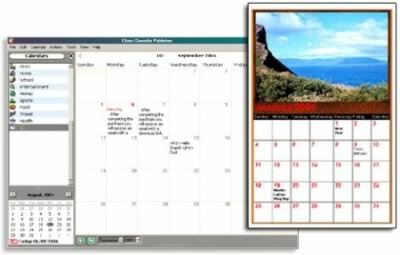 The Web Calendar Pad is a program that you can use to create illustrated monthly calendars, that can look like wall calendars and be published automatically to your website, a file, or be printed.Perfect for businesses, schools, churches, clubs, organizations and personal calendars.Web Calendar Pad helps you create an HTML illustrated calendar. Web Calendar Pad makes it easy for some one with zero knowledge of HTML to create, publish, and update online event calendars, in mere minutes. No need to battle html code ever again , you can choose the look of your calendar from a large list of defined styles, or easily create your own custom look that can include photos, backgrounds, and custom fonts.